I've been thinking a lot about cords lately - iPhone cords, camera cords, cell phone cords, camcorder cords, etc! I am working on a filing system for them that I hopefully will post about in a few days. And all those cords under my computer desk at my feet! For the computer, the monitor, the speakers, the printer, the modem, the external hard-drive, the phone, the lamp! How many times has something stopped working - and it's because I got caught of the cord and moved it just enough that the connection wasn't there! 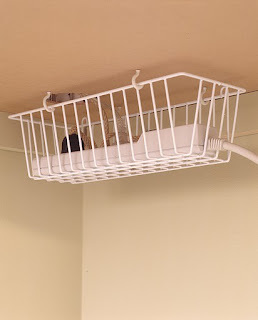 So I love this idea for corralling your cords up out of the way. 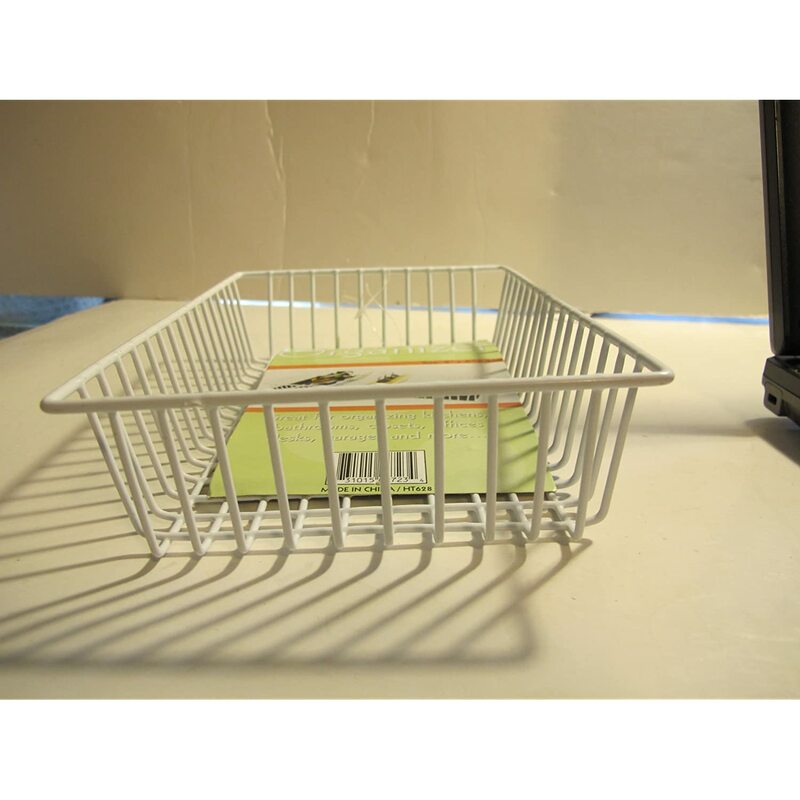 I have got to grab one of these baskets at the dollar store and get this set up for my desk! 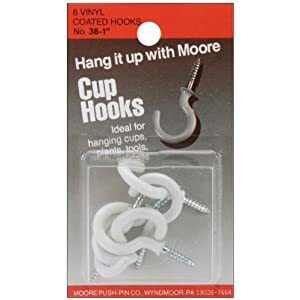 When attached to the underside of a desk with cup hooks, a plastic coated wire kitchen basket is perfect for corralling cords. If your surge protector plug is too large to fit between the wires, simply cut out a wire or two. Belen Familyy posted: great idea..
Darrell Russell posted: Use the square tab bread bag closures (they look like guitar picks), choose an appliance cord, write that appliance name on it in Sharpie, then "snap" it onto the cord. Now you'll know which cord to pull when you need something unplugged.